PSB M4U 8 review | What Hi-Fi? The premium wireless noise-cancelling headphone market isn’t exactly swamped with models, but the brands that currently occupy that space are some of the biggest in the business. With AKG, B&W, Beats, Bose, Sennheiser and Sony all having impressive options around the £250-£300 mark, you couldn’t really blame a manufacturer for looking at the competition and deciding to give it a miss. But PSB obviously isn’t afraid to mix it with the big boys, and has decided to take them on with its M4U 8s. Though headphones aren’t the Canadian manufacturer’s traditional bread and butter, it does have over 40 years of experience designing loudspeakers. Functional is the word we’d use for the overall design of the PSB M4U 8s. The boxy ear enclosures don’t give them the most streamlined or stylish of appearances, but they feel solid enough for the money. There’s only one colour option, but the matt black finish is smooth to the touch, while the chrome accents at either end of the headband and on the rails for the earpads give the appearance a lift. The M4U 8s look like over-ears, but the pads don’t completely cover your ears and are instead positioned on rather than over them. The fit is reasonable, and there’s a two-way adjustment to help secure a good seal. However, we found our ears heating up much quicker than when wearing rival models such as the Sony WH-1000XM3s, B&W PXs and Bose Quiet Comfort 35 IIs. This is a weighty pair of headphones with a clamping pressure that lies on the firm side. It’s not the most comfortable of combinations – switch from the PSBs to the Sonys and the latter not only feel lighter, but more comfortable too. PSB provides an extra pair of earpads should you ever wear out the originals. Battery life is 15 hours with either Bluetooth or noise-cancelling on. Given that the top noise-cancellers at this level tend to hit the 20 hour mark when running both, that’s on the low side. The PSBs are aptX HD compatible, should your source support the Bluetooth standard. Charging is done via micro-USB. If you want to use a wired connection, you can also use USB to connect the M4U 8s to a laptop or you can use the supplied headphone cable. You’ll find 3.5mm sockets along the bottom edge of both left and right earcups, which is a thoughtful gesture if you prefer the cable a certain way round. PSB has shunned touch sensitive controls, instead opting for physical buttons lined up on the edge of the right ear enclosure. We like this approach, as it feels more definite in use. You control playback through a flick switch, which you press to play, pause and answer calls. Volume is controlled in a similar manner on a second switch, with an upward flick to crank it up, and down to drop it a level or two. Pressing this button activates the PSB’s Transparency Mode, where the volume is reduced to a low level, allowing ambient noise in so you can hear more of your surroundings. It works well in practice – announcements sound clear and you get the benefit of having your music on in the background. When it comes to noise-cancelling, the PSBs make a decent fist of cutting out droning or humming sounds, but they fall well short of being class-leading. In fact, any of the alternatives from B&W, Bose and Sony boast a higher quality of noise-cancelling. The PSBs aren’t short of confidence when it comes to sound quality, delivering a solid, composed and controlled performance. Play Blackstreet’s No Diggity and there’s impressive power attached to the steady bassline punctuating this hip-hop classic. There’s weight and heft at the bottom end, while further up the scale, the accompanying drums sound snappy and tight. Leading edges are a little over-egged, but not to the extent of spoiling the music. Complicated rhythms don’t prove too troublesome, as highlighted by streaming alt-J’s Breezeblocks. The track can sound haphazard and confusing through weaker headphones, but the PSBs manage to lay it out in an organised manner. They don’t capture the musical flow of the track quite as effortlessly as the Sony WH-100XM3s, but they have enough of a grasp to keep you interested. Detail levels are good, but once again the class-leaders have the edge. They’re able to dig up more information and boast a more flexible approach with dynamics. Play The Dave Brubek Quartet’s Take Five and the piano strokes sound bold and solid enough, but the subtle rises and falls are delivered with greater finesse through B&W and Sony models. 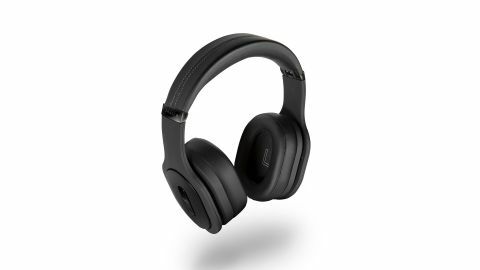 The PSB M4U 8s are priced at around £250, which puts enough distance between them and the likes of the Sony WH-1000XM3s (£320/$299) to give them a little leeway. Though they never quite threaten to topple the best in class, there are plenty of redeeming features that make these headphones worth investigating.